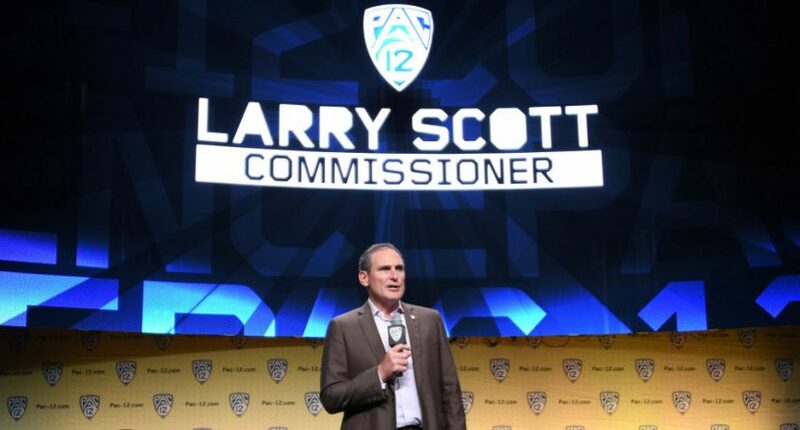 The Pac-12 is now asking for 50 percent more money from investors than they previously were. The Pac-12 is seeking $750M from investors, considerably more than the $500M it originally discussed four months ago, according to multiple sources. The conference will distribute $700M of that investment to its 12 schools. The other $50M will go into a new entity to manage the conference’s media rights and networks. The breakdown is detailed in official bid books that the conference sent to potential investors in recent days. Of course, it could be possible that some investment firm or firms bite on this, especially if the Pac-12 has decided to boost the equity they’re offering. And the “Terms of an investment could vary from one investor to another depending on the value the investor brings as a strategic partner” line is interesting; maybe someone who brings the ability to improve the Pac-12 Networks’ carriage situation (one of the key issues facing the conference) can get a bigger stake with less actual financial investment. Still, from the outside, it’s interesting that the Pac-12’s response to being criticized for trying to get $500 million for just 10 percent of the conference is…to ask for even more money. We’ll see how that works out for them.